The confirmation of Judge Brett Kavanaugh represents a turning point in American jurisprudence, which has suffered under the activist philosophies of those who have all too often legislated from the bench. Roe v. Wade was such wrongly decided ruling that has cost over 60 million innocent lives. I understand that overturning that horrendous decision will take time, but now, I believe we are now at last on the final road to accomplishing our goal of ending abortion in America. I look forward to President Trump’s next Supreme court pick, and pray the process will not stoop to the same level of rancor that Judge Kavanaugh was forced to endure. 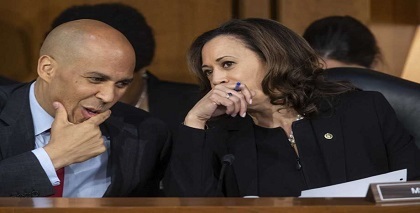 Democratic Senators Cory “Spartacus” Booker and Kamala Harris share a laugh over how easily Democrats are duped into ignoring the constitution and civil rights. Sexual assault is a very serious crime, and needs to be taken seriously. However, in this case, the allegations never rang true and appeared to be completely motivated by politics. Many women said we should trust the accusers without question or corroboration, but this was always an unjust and insincere request. Instead, as a woman, I chose to trust the evidence, of which there was none, and above all, trust God to use the process to reveal the truth. That’s why we never wavered in our support of Judge Kavanaugh, and in fact, became more certain he was the man for the job as the process dragged on. I am so very proud of Judge Kavanaugh for withstanding the vicious onslaught of baseless gutter-level attacks that tried so desperately destroy him and provoke his withdrawal from the process. 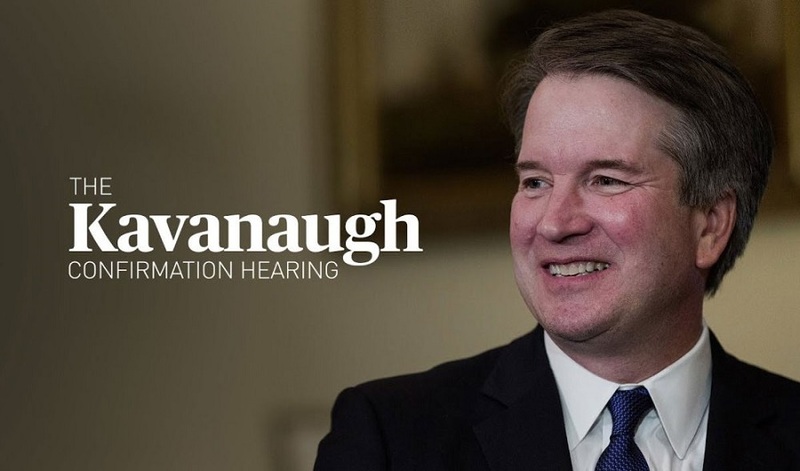 From the beginning when his name was first announced, I had faith that President Trump chose well, and I not have great faith that Judge Kavanaugh will distinguish himself on the Supreme Court with unbiased decisions based in the law.